I’m sure there are lots more but let’s get on with the recipe. Toss the whole pineapple into the blender and puree until smooth. 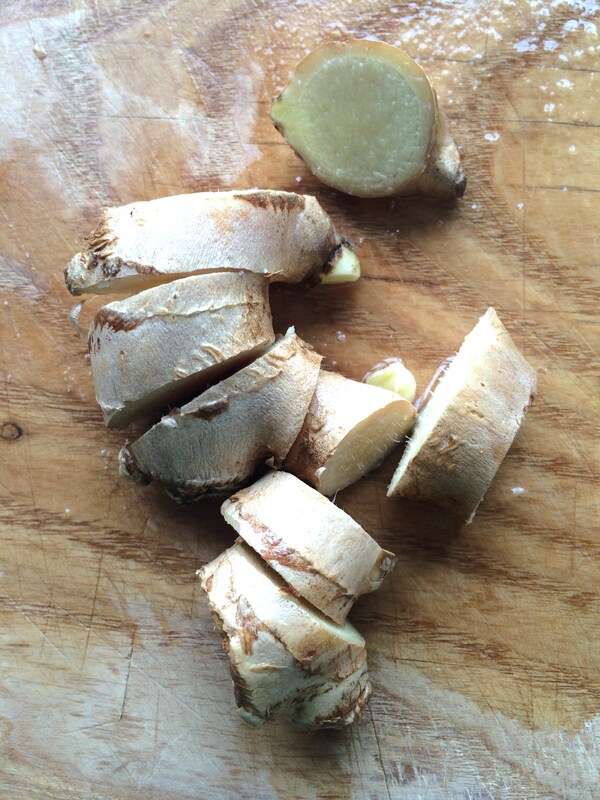 Add chopped ginger and blend on high until incorporated. Pour the chia seeds and water into the blender and using a chopstick or the handle of a long spoon, mix it until evenly incorporated. Pour into tall glasses and garnish with 1/2 tbls bee pollen in each glass. 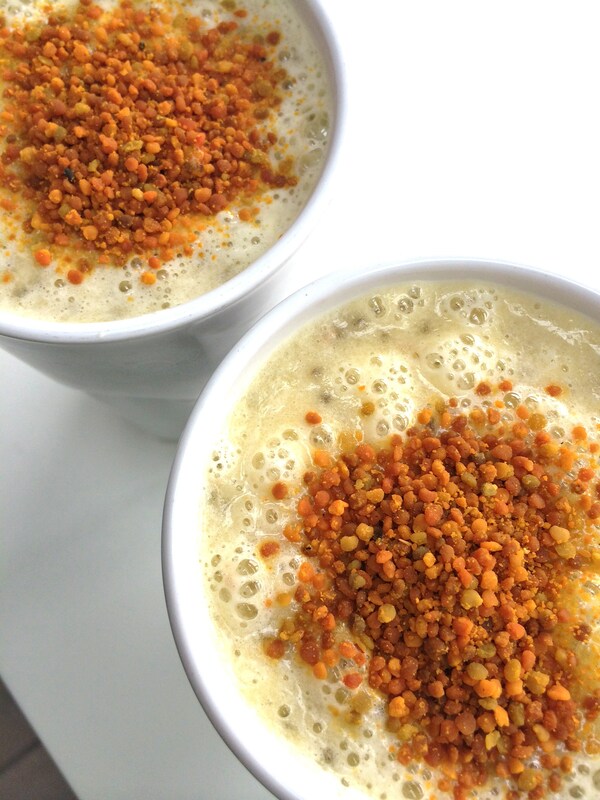 Before sipping, use a spoon and mix in as much of the bee pollen as you can. 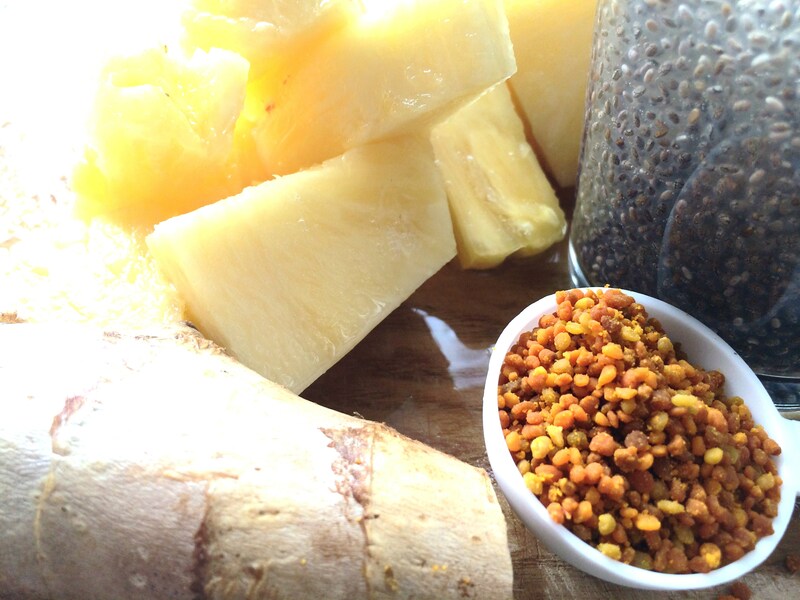 This entry was posted in Breakfast Ideas, Drinks and tagged B-vitamins, bee pollen, Breakfast drinks, chia, enzymes, ginger, healthy breakfast, pineapple, quick, raw food Taipei by Chef Prish. Bookmark the permalink. What is the sugars content on this drink? Just the sugar from the pineapple.